The Beverly House® is an exceptional trophy property of unequaled provenance. 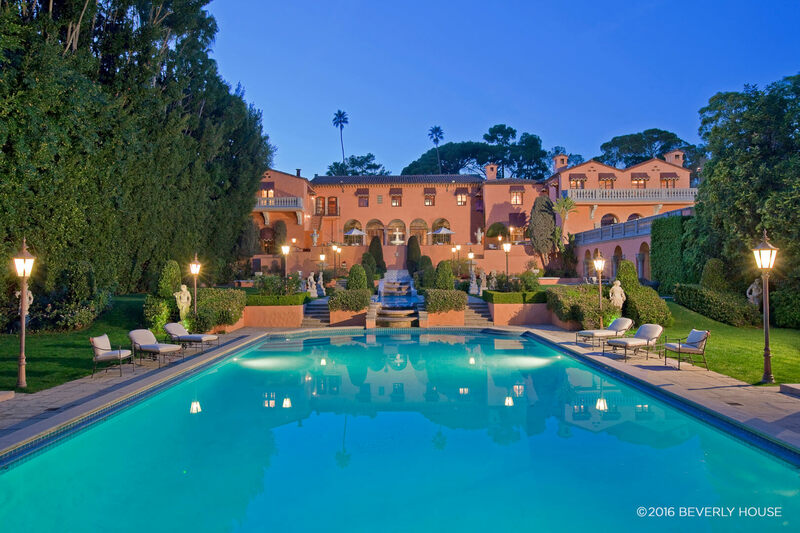 Formerly owned by newspaper magnate William Randolph Hearst and actress Marion Davies, the estate is well known for its memorable scenes in the movies “The Godfather” and “The Bodyguard”. It served as the venue for Jacqueline and John F. Kennedy’s honeymoon and as the West Coast Presidential Election Headquarters for JFK. The estate’s famed H-form architecture features 19+ bedrooms, a two-story library, formal living room with 22-ft high ceilings, billiards room with intricate ceiling and fireplace both from the Hearst Castle and a staggering 82-ft long main hallway. Ideally located three blocks north of Sunset Boulevard and the Beverly Hills Hotel, the property has been expanded and remodeled in 1995 and 2016. 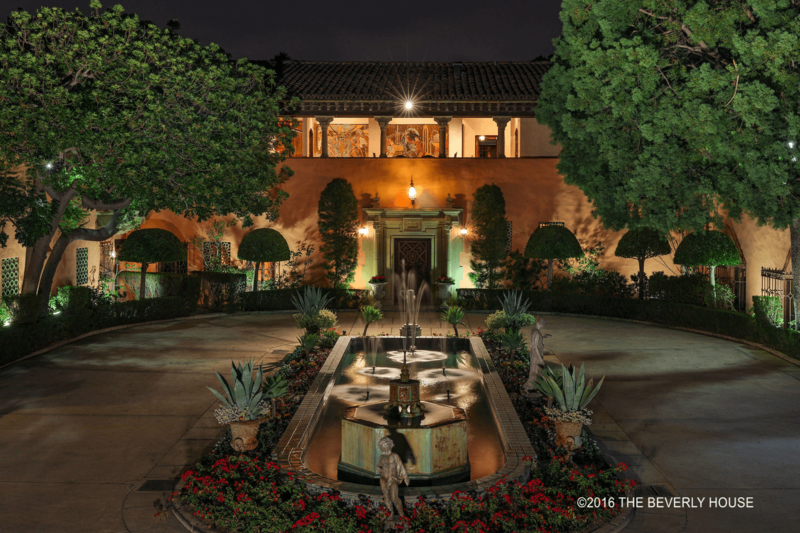 Together with 1013 North Beverly Drive (also available), The Beverly House® Compound is over 55,000 sq ft with 26 bedrooms, two pools and six separate, well-placed structures on approximately five acres. Perfectly secluded with excellent security, The Beverly House® enjoys a prime location in the heart of Beverly Hills only a few blocks North of Sunset Boulevard and the Beverly Hills Hotel and offers extreme privacy and security and four security gates and several perimeter housing structures. You can lease and have exclusive use of The Beverly House® and its features. Available fully furnished starting at $600,000 per month. Optional concierge services relating to the site rentals are available through Beverly House Group®.